There are many different patterns and design opportunities leading to a very imaginative makeover to your home or business. The result is virtually maintenance-free (no dirt, weeds or subsidence) and lasts for decades. The [Spectacular Driveways] products are in demand from homeowners wanting to improve the look of their drives and paths. Spend time living life, not worrying about your driveway. No need to re-paint or worry about a fading texture. Forget all the problems you’d get with traditional flagging. Spectacular Driveways has been laying driveways for many years; we have a lot of knowledge and experience to call upon. Whether you’re a residential customer or commercial organisation, we understand communication is key for job satisfaction. 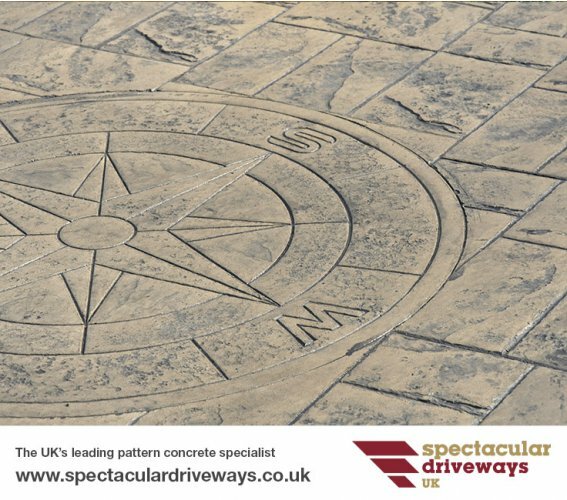 We are specialists in pattern imprinted concrete installations, custom designed to suit all requirements, large or small. 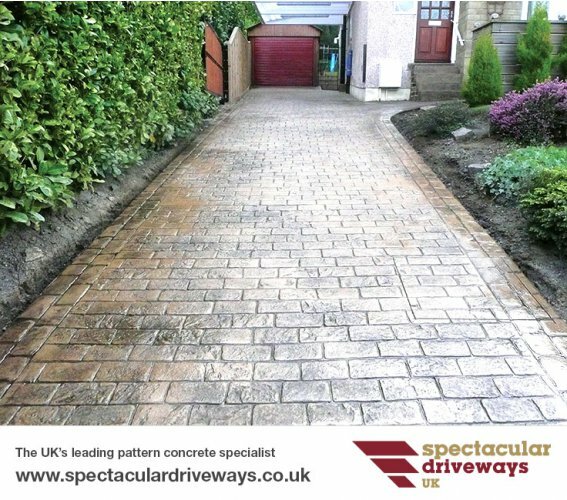 Spectacular Driveways is a family run business with over 20 years of trading history. We have built an outstanding reputation of quality workmanship with dedication to customer satisfaction. Using our specially blended mix of concrete which is made on site to exact quantities, not only saves you money and time, but guarantees that you are provided with the very best materials to create your spectacular driveway. 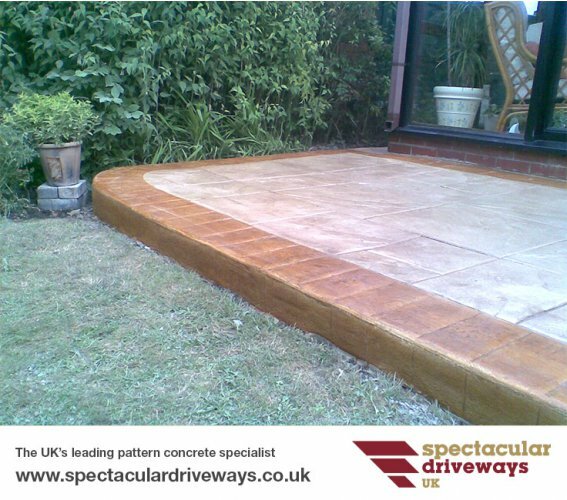 Our concrete driveways can be found all over Yorkshire & beyond. 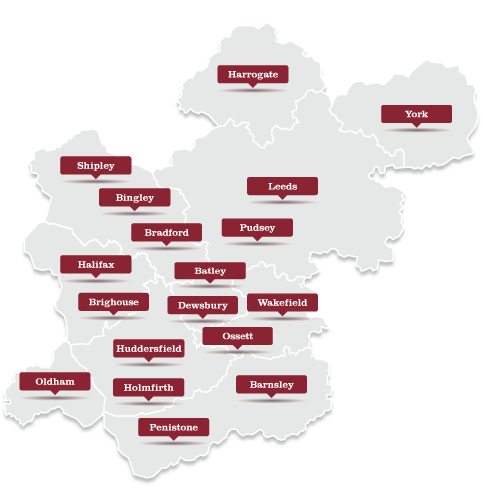 Based in Huddersfield, we’re ideally positioned to cover the whole of Yorkshire. 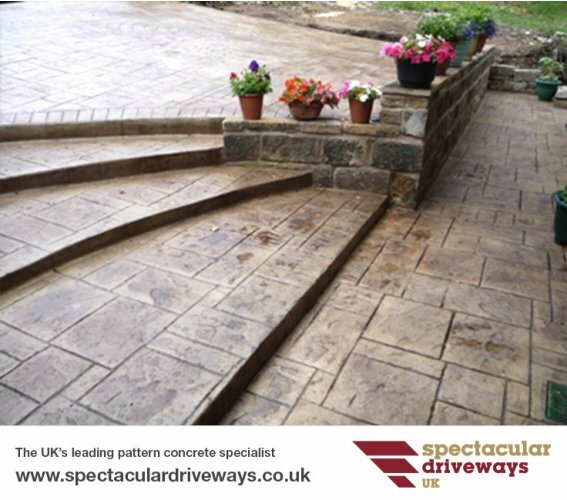 Keep your eyes out for spectacular driveways in Huddersfield, Halifax, Wakefield, Leeds, York, Bradford, and surrounding areas. We stock a wide range of pattern and colour samples for you to view, and our staff are on hand to give you all the help and advise you need. Fill in the below details and let us know what you are looking for and give us as much detail as you can.